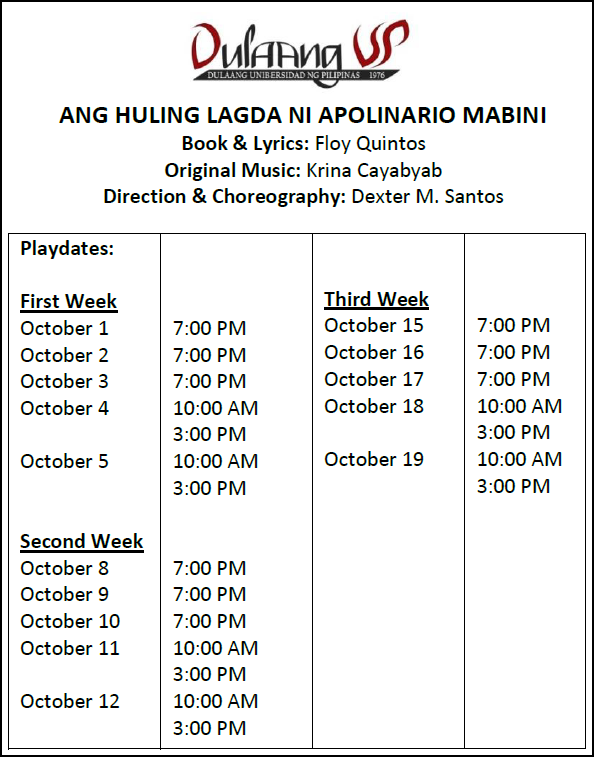 Dulaang UP is once again presenting another production after their hugely successful musical 'Ang Nawalang Kapatid' which garnered great reviews and even re-runs earlier this year. Now, they are taking on a historical piece titled 'Ang Huling Lagda ni Apolinario Mabini'. Dexter M. Santos (Director), Floy Quintos (Playwright), and Krina Cayabyab (Music Director) collaborate once more in a play celebrating the sublime paralytic’s 150th birth anniversary. Ang Huling Lagda ni Apolinario Mabini chronicles the last days of Apolinario Mabini’s exile in Guam and explores the conditions which spurred him to return to his homeland. The one act musical is said to be the most significant contribution of the Philippine local theater scene to the celebration of the sesquicentennial of Apolinario Mabini. While the musical explores the private pain of a hero that is forced to swear allegiance to the USA, Ang Huling Lagda ni Apolinario Mabini also instills a new pride & importance in his greatest work - the True Decalogue. The musical also allows audiences to familiarize themselves with the value of Mabini's greatest opus and strengthen our sense of duty to our country. The cast is topbilled by veteran stage actors Roeder Camañag, Leo Rialp, Jean Judith Javier, Banaue Miclat, Al Gaimatan and Nazer Salcedo. An ensemble of promising actors comprise the formidable supporting cast- Ralph Oliva, Chase Salazar, Adrian Reyes, Arion Sanchez, Bym Buhain, Edmundo Abad, Jr., Ralph Perez, Ross Pesigan, Roco Sanchez, Rence Aviles, Jon Abella, and Vincent Pajara. 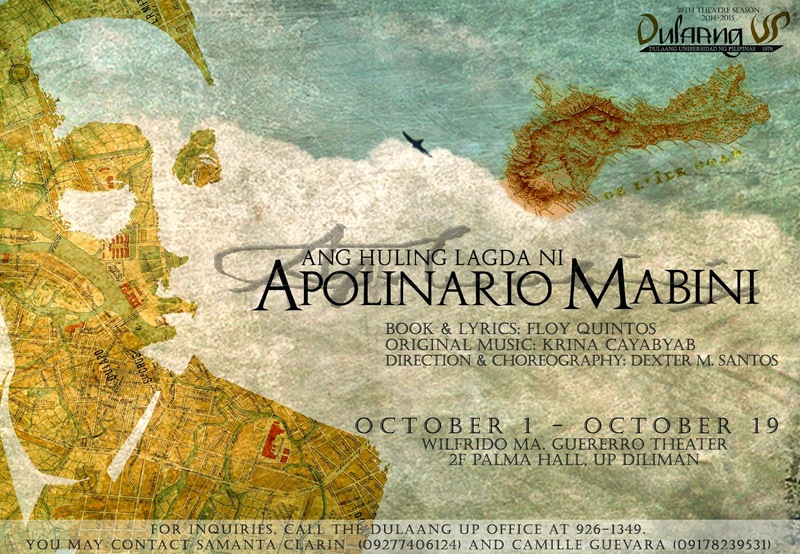 Ang Huling Lagda ni Apolinario Mabini will be staged at the Wilfrido Ma.  Guerrero Theater, 2nd Floor Palma Hal, University of the Philippines Diliman from October 1 - 19, 2014. For ticket reservations, you can call Samanta Hannah Clarin or Camille Guevara at (02) 926-1349, 433-7840, 981-8500, local 2449 or email dulaangupmarketing@gmail.com.